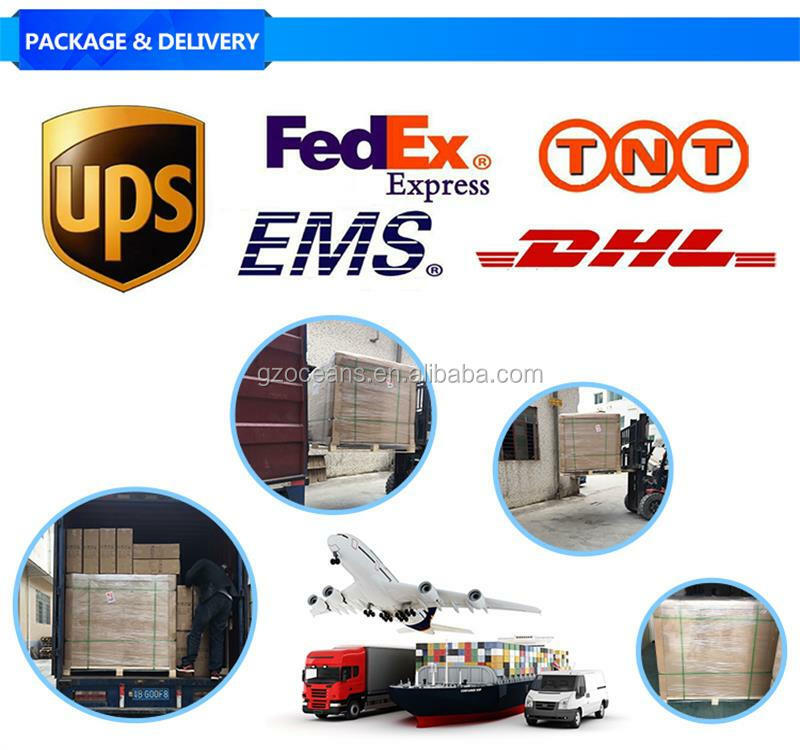 Packed in strong export-oriented swa-worth carton. 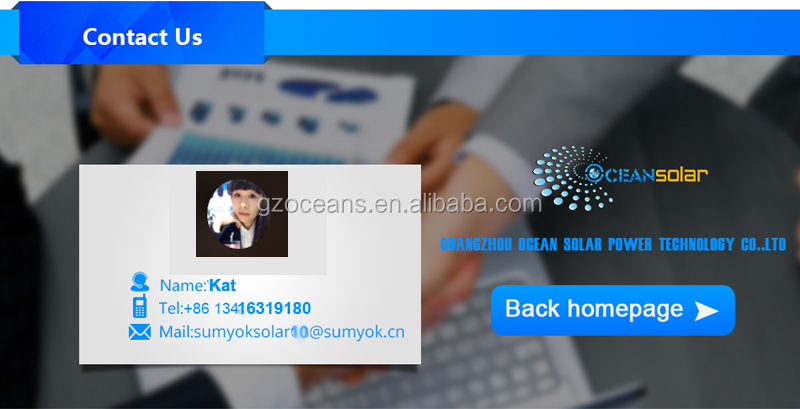 Within 10-15days after order onfirmed. 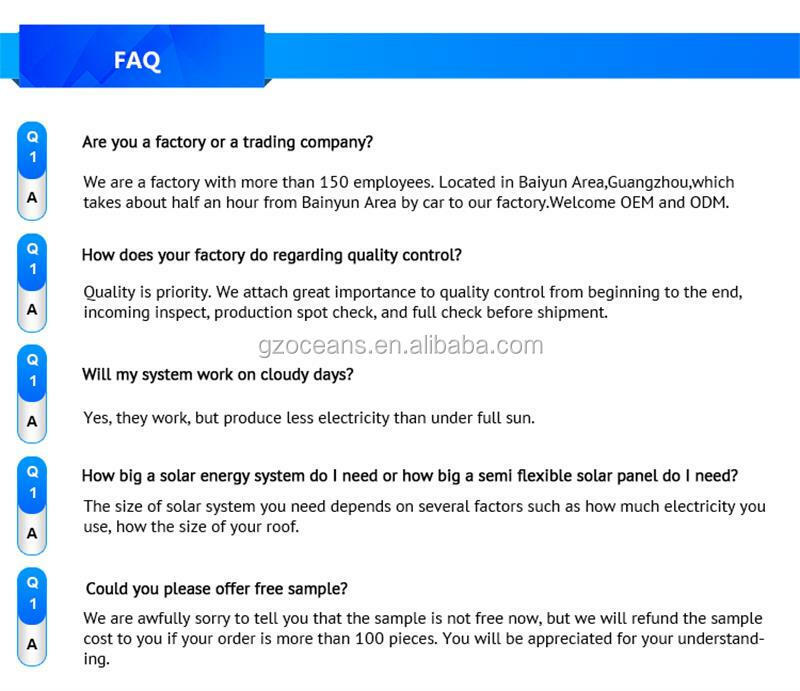 The appearance is fineness and tough with humanized design. 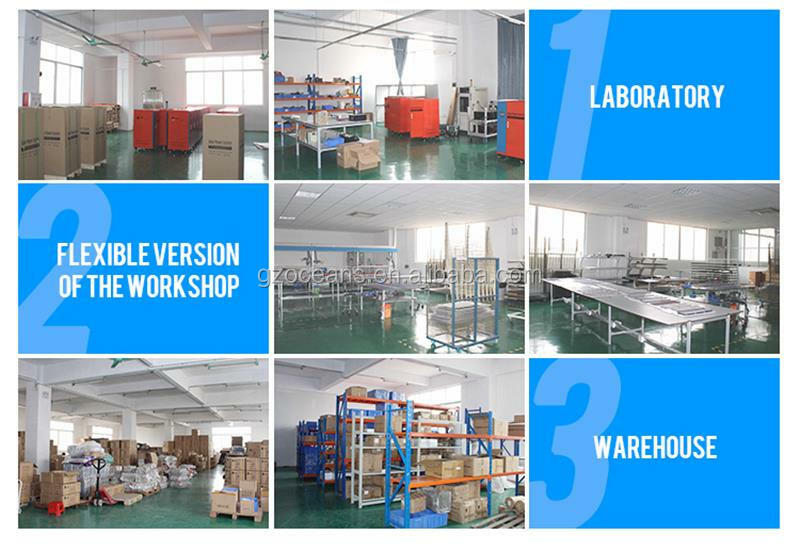 The regularly uneven surface, produced by special processing, can absorb more light and looks more attractive in the meanwhile. 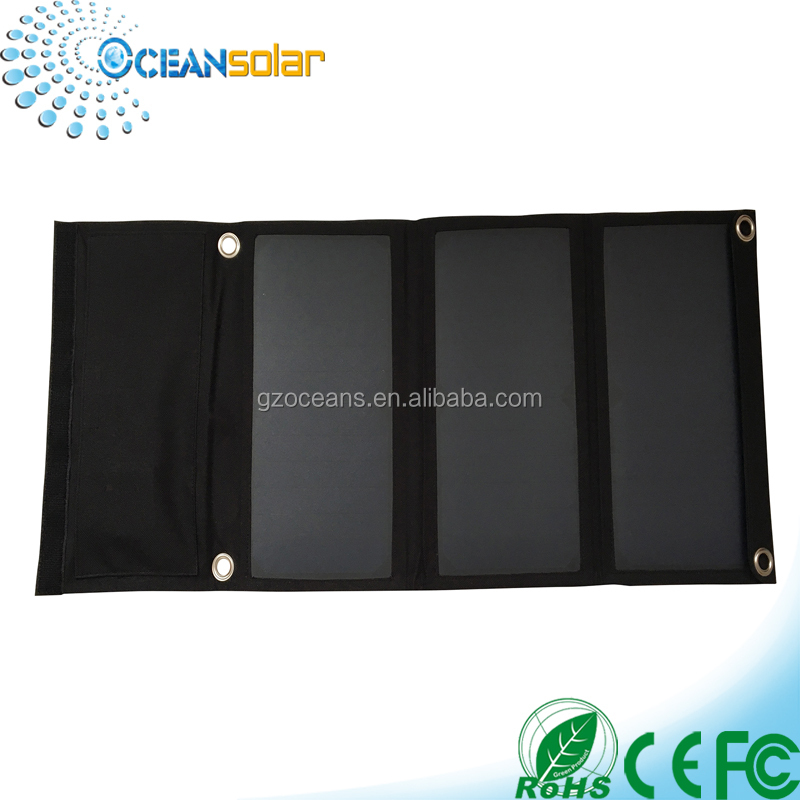 It is foldable and easy to carry so that it can be used anytime and anywhere. 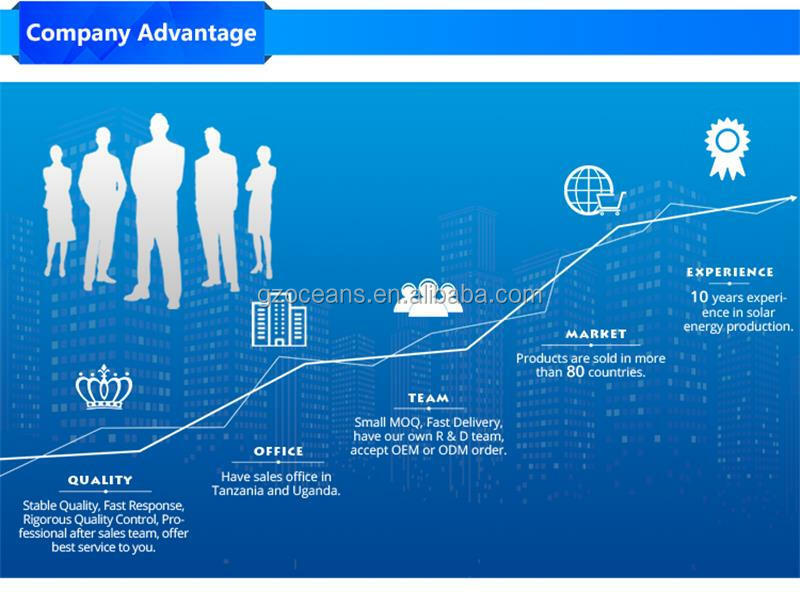 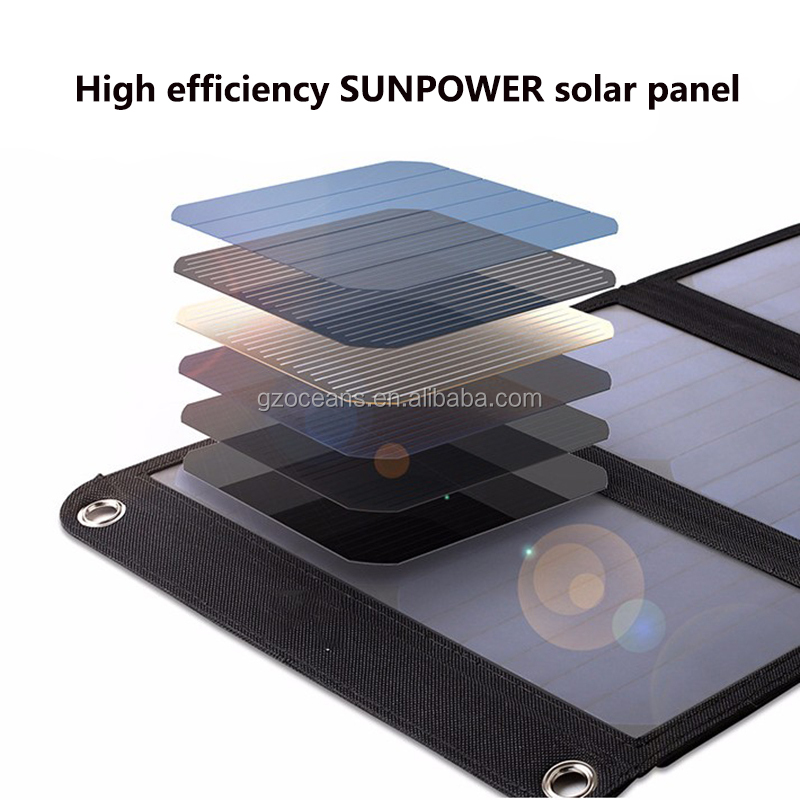 It is more portable and more efficient by using high-efficiency crystalline silicon solar cells. 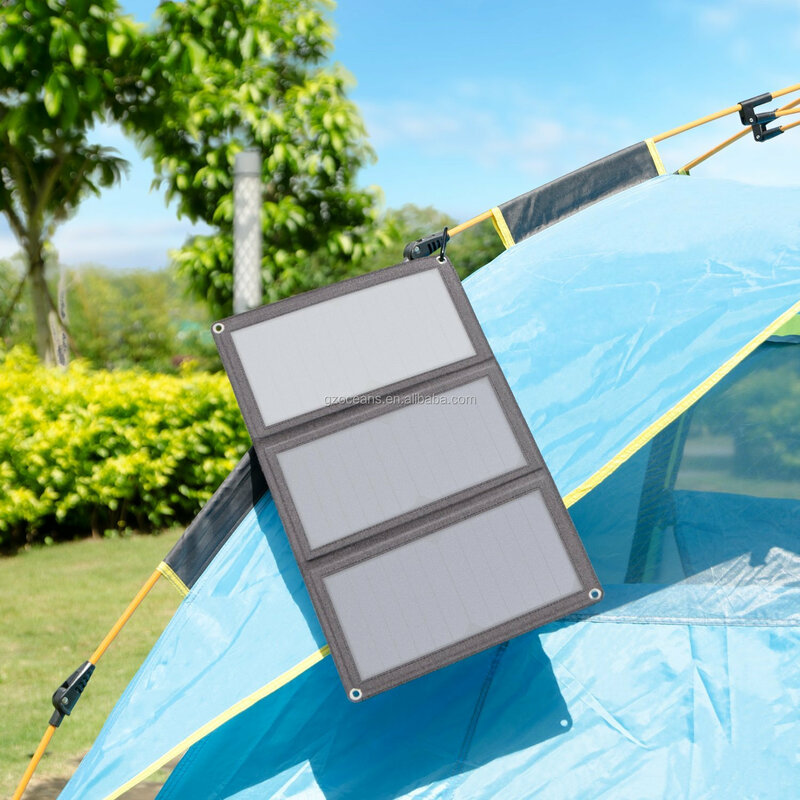 It is ideal and necessary for outdoor activities. 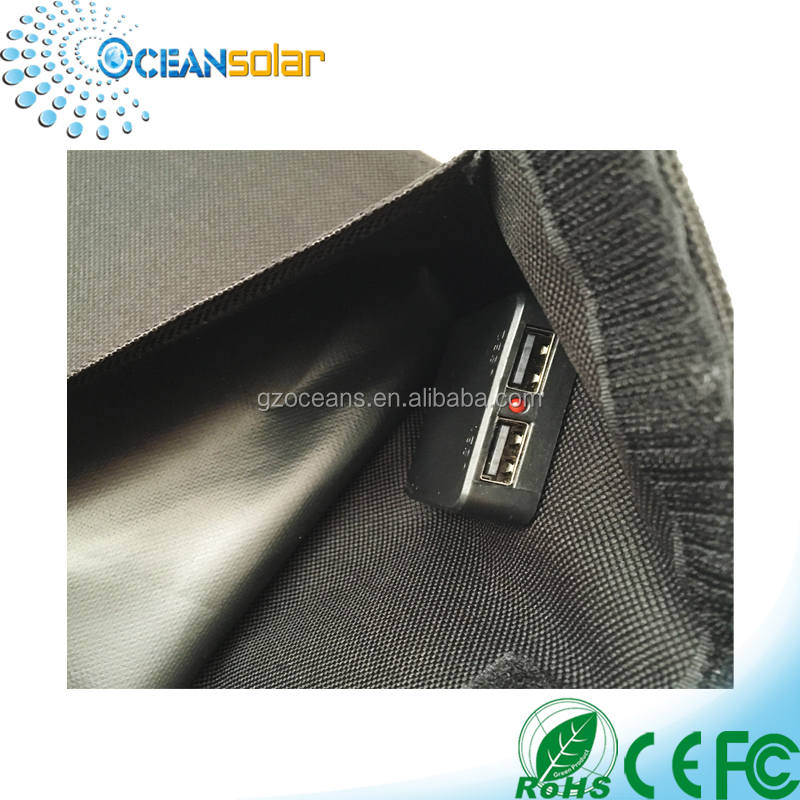 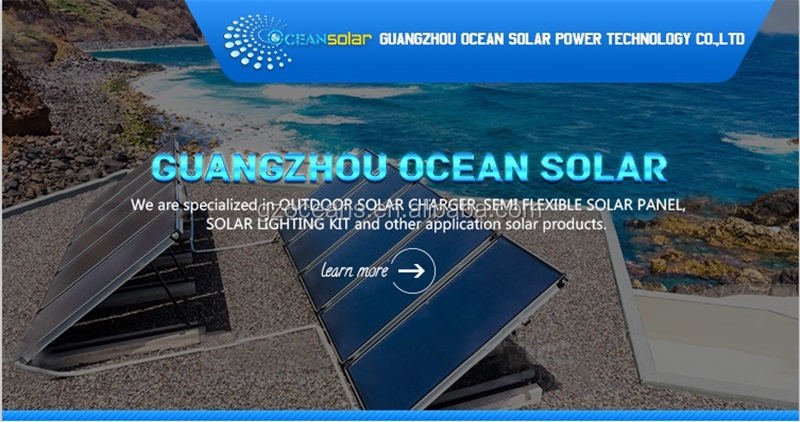 It can be easily fixed on the bag, tent and window by using the metal buckles and cupula, so the power can be generated easily wherever the sun there. 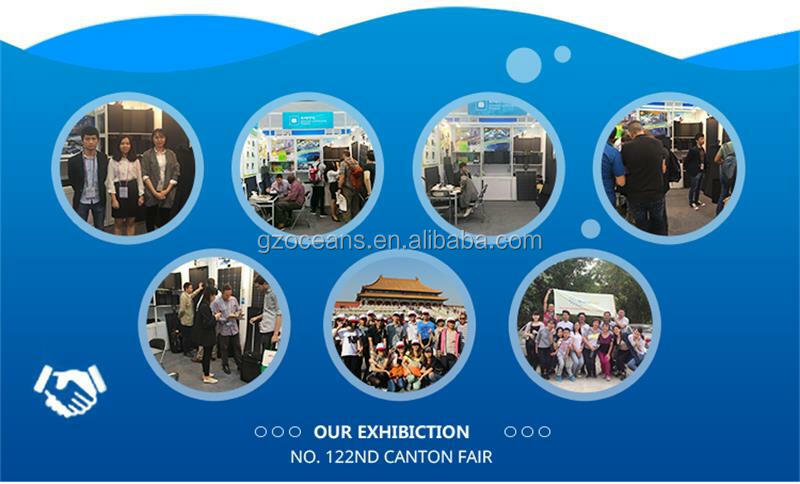 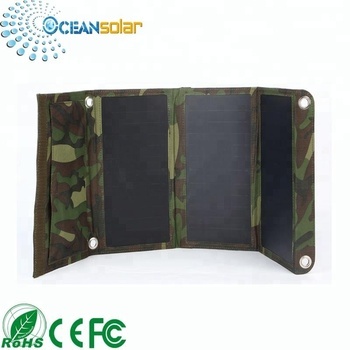 The high quality materials, for example the canvas, waterproof connectors, make it anti-ultraviolet and wearing resistant. 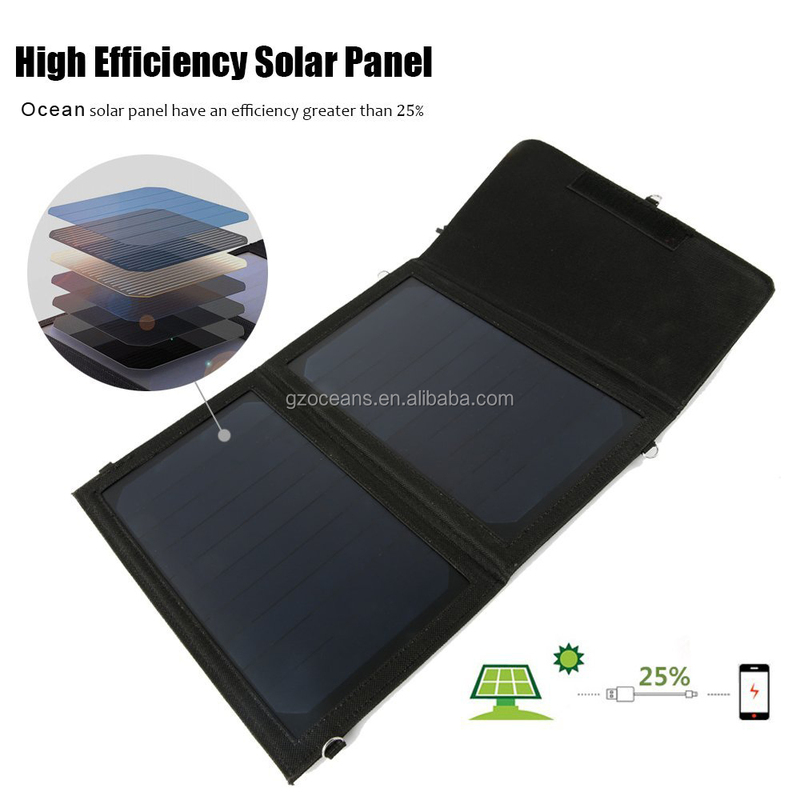 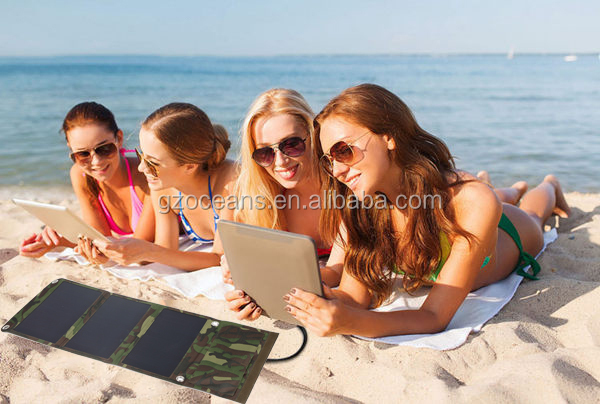 Portable solar charger is essential for outdoor activities, such as hiking, camping, and outdoors military training. 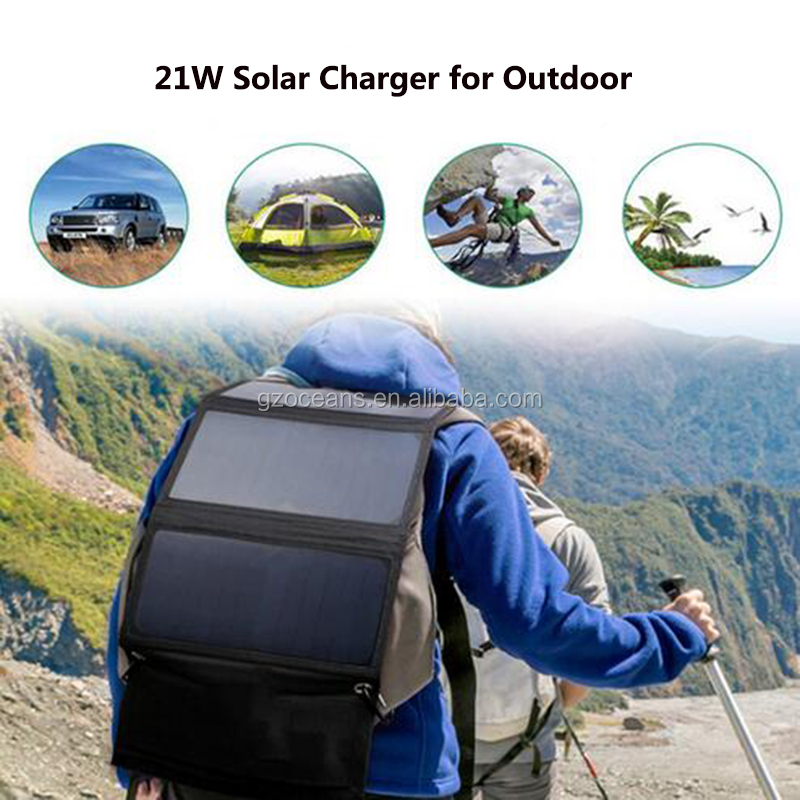 So that even in absence of power support, there is electricity as long as there are sunshine and solar charger.